Being forced to find a new home for your pet is one of the most difficult situations for pet owners. Not only is the process difficult, but the entire situation is super-charged with emotion. Here’s a guide on how to prevent having to rehome a pet in the first place, and tips on how to find a new home for your pet when it is absolutely necessary. Am I willing to put forth the time and effort into training an animal? Do I have enough time to spend with them? Am I financially stable to provide medical care for an animal? Will I be able to afford the added costs of keeping pets and cleaning after them in apartments/rentals? Am I out of town often? Will I need to have others watch my pet? Am I adopting on impulse? The first tip to rehoming a pet: find ways to mitigate the problem so you can keep your pet. There are many different reasons that pet owners feel that they must give up a pet, however many of these reasons are preventable. Here is a list of the most common reasons why pet owners often give up a pet and how to prevent this issues from occurring. Behavioral reasons: Pets must be trained, yet pets are often abandoned because their owners find their behavior unfit for their home, family, or their apartment. If you are going to adopt a dog or cat, remember that you will need to spend time researching how to train them and actually training them. Sometimes the fixes are easy: if your dog is chewing on your table’s legs or your cat is scratching your couch, get the dog a chew toy and the cat a cat scratcher and cat nip. Sometimes erratic behavior might just be the result of restlessness or loneliness and you need to throw an extra twenty minutes of active outside time your pet’s way. Other times, a dog’s behavior can be serious and potentially dangerous. For your sake, your pet’s sake, and your friends, family and others, spend time searching and training your pet. 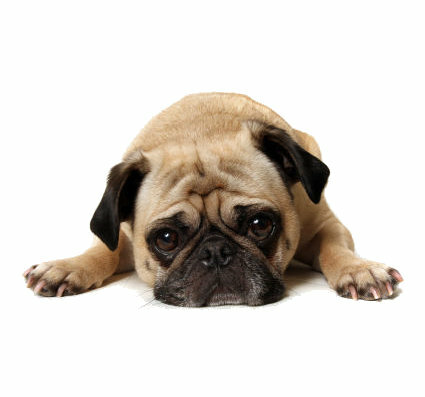 Relocation: Relocation provides many obstacles for pet owners and is one of the largest causes for pet abandonment. This is disappointing because there has never been an easier time for being able to find a dog-friendly or cat-friendly apartment. The majority of apartment finding websites include pet-friendly options, so the inability to find options shouldn’t be the main deterrent. It often comes down to being picky about what type of apartment one should choose or not giving yourself enough time to find your next place. Pet owners need to keep in mind that once they’ve adopted a pet, it’s their responsibility to choose a place that will house both them and their pet. That might mean that you will have to pay a little more for an apartment than you might want to, or your new home might not be able to be that vintage Victorian home that you adore, or you might have to live a little further from work than what you would like. Also, give yourself plenty of time to search for your next place. That may mean beginning your apartment search several months in advance. For those that intend on adopting an aggressive breed, be warned: it will be very difficult to find an apartment that will accept your dog. Aggressive breeds generally include Pit Bull Terriers, Staffordshire Terriers, Rottweilers, German Shepherds, Presa Canarios, Chows Chows, Doberman Pinchers, Akitas, Wlf-hybrids, Mastiffs, Cane Corsos, Great Danes, Alaskan Malamutes, and Siberian Huskies. With patience and a little bit of luck, you should be able to find a great new home for your pet. Follow these steps in order to make the transition as easy and beneficial as possible for you and your pet. Take an excellent color photo that shows your pet’s most adorable, kindest side. Create a pet biography. Describe what training you’ve put your pet through, their personality, how they get along with other animals/people/children, their medical history, and how much exercise and outside time they need daily. Be descriptive about your pet’s best features what types of environments work best for them. Also, be honest about an aspects of your dog that may deter someone from adopting them such as the need for more training or a tendency to run away, etc. Have your pet in adoptable condition: up-to-date with their vaccinations, free of ticks and fleas, and already spayed or neutered. 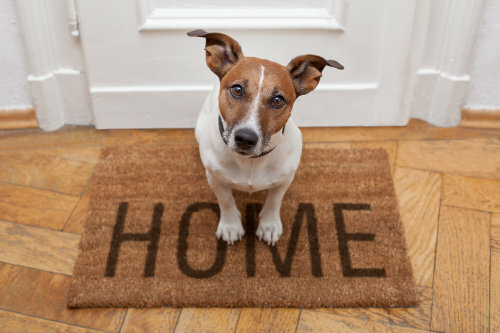 You love your pet and you want it to have a safe new home. This is where the patience of rehoming your pet really comes in. There are many avenues that you can find a new home for your pet from, but you first want to start out with those that are closest to you. Reach out to your family, friends, coworkers and see if they can reach out further for those looking to adopt a pet. Once you’ve exhausted these options you can look into pet stores, dog daycares, dog parks, and pet groomers and leave copies of your pet biography with some contact information. Non-profit humane societies and animal rescues often provide the ability to list pets for adoption on their websites as well. Once you do have some options, it’s time to conduct the interview. Many of these questions are the ones any pet owner should ask before adopting a pet, but now it’s your turn to ask them. What is it that they like about your pet and how does it fit into their life? Do they have a lifestyle that will encourage your pet’s happiness? Will their house accommodate your pet? Ask for a home visit to make absolutely sure. Do they already have pets or do they have experience training pets? Will yours be able to interact with them? Are they dedicated to a having a new pet and intend to own them for a long time? Once you have found someone that seems like a good fit, it’s time to introduce them to your pet. Have them (and anyone else that will be living with your pet) come to your house and meet your companion. How does your animal react to them? One last way to weed out unworthy adopters is to require a fee to adopt your pet. If someone is really set on adopting your pet, chances are that a fee won’t prevent them from adopting. On the other hand, those that aren’t serious about adopting will be forced to toss the idea around even more. Even a nominal amount, say $25 can appropriately serve this purpose.